We heard long back that LG will release first Drone Smartphone, LG U+ with 5.2 inches IPS LCD display. It is not official yet but the device and the video of the drone smartphone looks awesome. 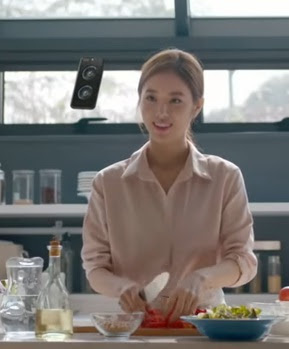 There are few leaks, rumors and speculation about LG U Plus smartphones that has drone feature as well beside usual features that every smartphone has. The gadget news might be a true as well. If you are looking for LG U Plus smartphone key features, specification, price and other detail which might be speculation or real then please find some of them over here. The phone might be powered by 1.4 GHz Octa-Core processor coupled with 4 GB of RAM. The drone phone might be running with the latest Android Oreo or P operating system. The flying duration of the phone might be of 3 to 5 minutes with max of 30 meters around. This could be the first drone smartphone. The tech news will be confirmed once the LG brand is confirmed about it. As far as the camera of the drone phone is concerned, LG U+ might come with 13+13 megapixel dual rear and 12 megapixel front camera sensor. Since the detail is unreal yet, we would furnish the official specs and features detail if available any time soon. Tips: For a change, you can check its update and grab it when release to feel a different experience overall.